Workday recently launched Workday@College, a new Workday training and internship program for college students. Three colleges are participating for the first year of the program, with more slated to join next year. Workday@College is led by Bill Wilson, who joined Workday last year as director of academic relations. Wilson has a unique background—he’s a former member of the U.S. Navy SEALs special operations force. Members of this elite force undergo extreme physical and mental conditioning in order to operate in all environments, including sea, air, and land. Wilson’s last assignment was commanding officer at the Naval Special Warfare Center, which selects, trains, and educates SEALs. Read our interview with Wilson to learn more about Workday@College, and why this former SEAL joined Workday. Workday@College is a new initiative that provides training to students enrolled at higher education institutions that are using or deploying Workday, and places them in paid internships with Workday’s deployment partners and customers. Students selected for this intensive training gain proficiency in Workday technologies and business processes. The goal is simple: to give students a path to great job opportunities for deploying cloud-based enterprise applications. We’ve kicked off the program with 19 students from Barry University in Miami Shores, Fla., Broward College in Davie, Fla., and Stevens Institute of Technology in Hoboken, N.J. We’re talking to more about coming on board in 2016. The first partners to provide internships, which start this month, include Collaborative Solutions, DayNine, Deloitte, and Sierra-Cedar. Why do you think Workday@College will appeal to students? When I meet with students, most of them have that spark that indicates a true desire to succeed, and it’s important they know the job market is booming with opportunities for people with Workday skills. Among IT professionals, a report by Foote Partners found those skilled in Workday are among the highest earners. Organizations moving to cloud-only technologies don’t need the same level of help they would to maintain on-premises enterprise applications. However, they do need people to lead the transition of their systems and business processes to cloud-based human resources, finance, and business analytics applications. One reason that demand is outweighing supply of Workday skills is that many university partner programs focus on educating students about legacy on-premises systems and implementations. With Workday@College students get trained for enterprise applications of the future, not the past. How did you become interested in leading this initiative at Workday? 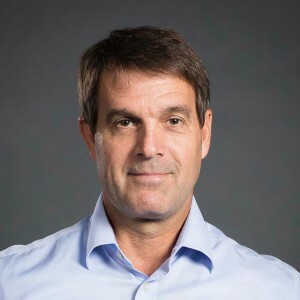 I met Workday’s co-founder and chairman Dave Duffield through a mutual friend while I was still in the Navy and about to be deployed overseas. We talked for two hours, mostly about his desire to take Workday’s technology into colleges and universities and to teach students how to use and deploy it. I was impressed by Dave’s humility, courtesy, passion for hard work, and amazing insights into what customers want. I knew the Workday culture would be a good fit for me. Dave and I remained in contact throughout my nine-month deployment—continuing to discuss this idea of bringing Workday technology into higher education. I interviewed with Workday when I returned and started in my position as academic relations director in September 2014, the day after I retired as captain after 28 years of service with the Navy. We work with each institution’s career services center to identify and interview interested students. Participants receive classroom training on or near their campuses. The courses are taught by Scott Corder, who has been with Workday since 2007 and serves as program manager for Workday@College. He’s passionate about teaching our technology, and has developed an amazing program that leverages the same curriculum used by Workday to certify its deployment partners. After completing the training course, students join a Workday partner or a customer for a summer of practical field work on Workday projects. The internship provides each student with an experience that closely resembles life as a global business consultant. Throughout their internships, students are assessed for aptitude and suitability for post-graduation employment by the partner firm or the customer. 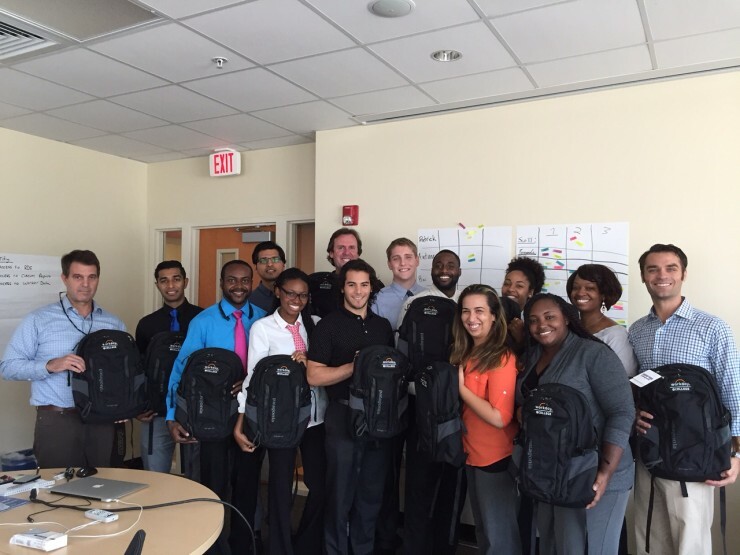 Broward College students display their Workday@College backpacks with Bill Wilson (left) and Scott Corder (right). During their senior years, students will have enough knowledge to assist their institutions with any Workday deployments in process. And after graduation, these students are highly marketable to our partner firms and customers worldwide. What are you hearing from institutions that have joined the program? It’s great that participating colleges recognize this incredible opportunity for their students, and early feedback in the program has been positive. For example, I’ll share this comment from Renee Law, Broward’s district director of career and technical education: “Broward College is extremely excited about how this internship opportunity has helped our institution challenge perceptions about employment requirements. The experience is opening doors that our students never considered.” I think that’s a perfect way of describing the opportunity, and I look forward to sharing more on Workday@College after we’ve completed an entire training and internship cycle.